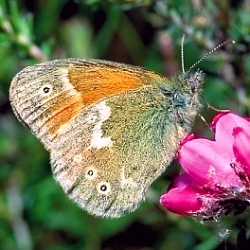 Habitat: The Large Heath is local and found on raised and blanket bog in the Midlands, West and North-West of Ireland. It has one brood annually. Cotton Grass (Bog-cotton) Eriophorum spp. 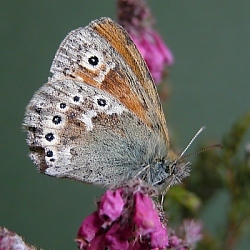 Markings on the Large Heath can be quite variable, see photos below for comparison. 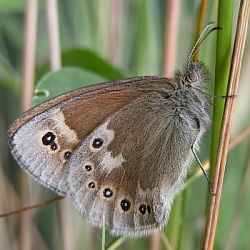 Much of this species' habitat in Ireland has been lost as a result of peat extraction and drainage. 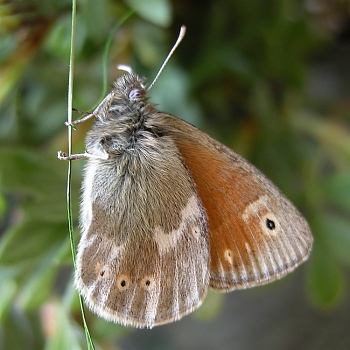 On a European scale it is classified as vulnerable, being an Annex II species under the Berne Convention. 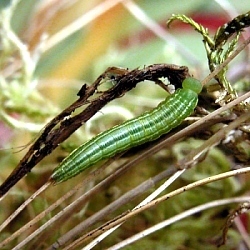 flattened top and measures c.0.8 mm in height. 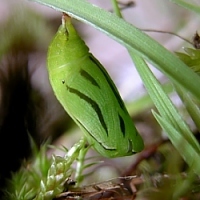 Eggs are laid singly near the base of the food plant and hatche in c.15 days. 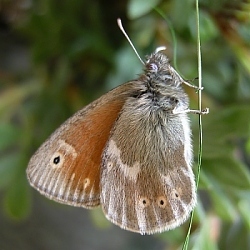 The adult butterfly emerges and is on the wing from mid-June to the end of July.